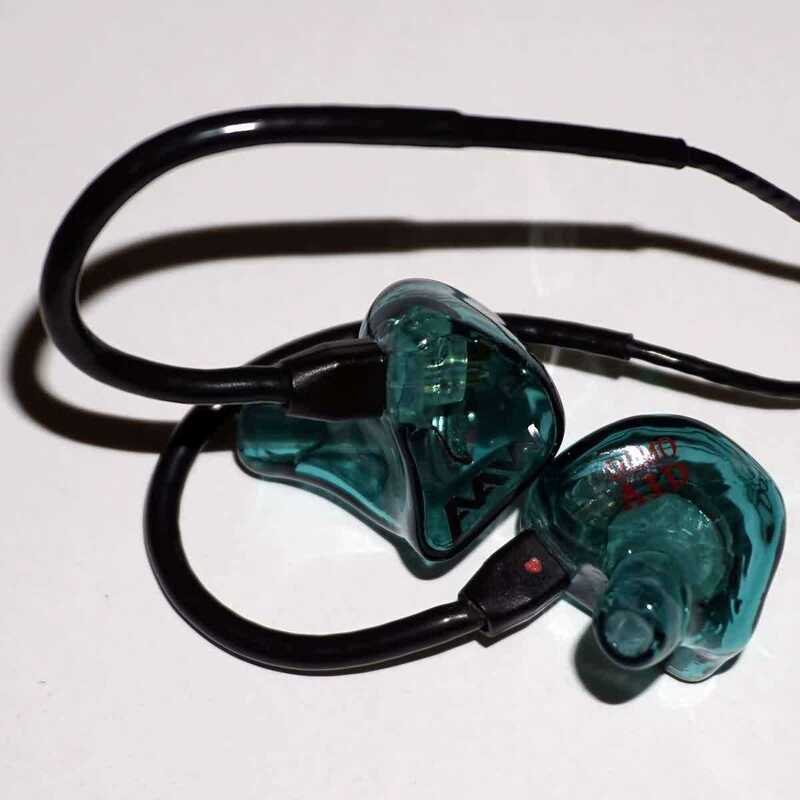 Advanced AcousticWerkes is a relatively new custom in-ear monitor (CIEM) company based in Singapore with distribution via several retailers including Null Audio who contacted me about the new lineup. There are two to different lineups actually, the Muskier and Meister lines with both offering BA only, dynamic only, and hybrid CIEMs. While AAW has been around for a while, the new flagship that doesn’t fall in either lineup, the W500 AHMorph, came out not too long ago and has a built-in tuning dial to change the sound signature from a bass-heavy hybrid to a balanced armature only sound. 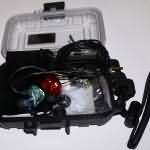 I received several demo units for testing and sending out on tour once I had completed my auditions. The demo units utilize nozzles that are on the large size, and after trial and error with many different ear tips including the included single flange tips, I settled on soft bi-flange silicone tips. Disclaimer: The sound description is based off demo units with silicone ear tips and from my experience, balanced armature driver CIEMs may sound significantly different from demo units when customized. I don’t have any model where I have both a customized and demo unit for direct comparison. The Muskier line is designed for those that want a warmer sound, with the exception of the V tuning, which is tuned for voice-based genres. The A1D represents the entry point for the Muskier lineup and has a bass-oriented sound while still representing the midrange and treble regions well. 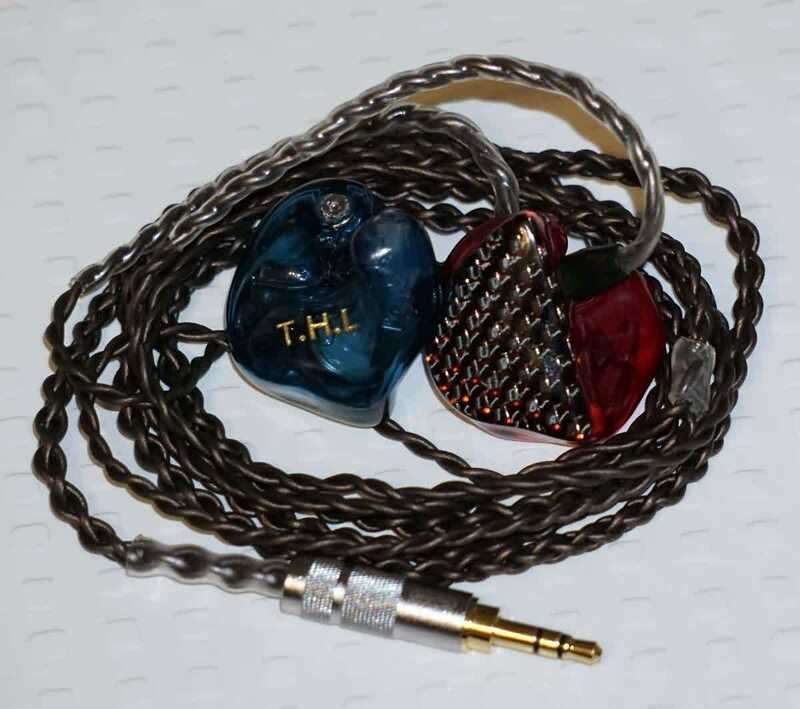 The sound isn’t unlike a good mid-range dynamic driver IEM, offering good clarity and bass punch while performing respectably in the rest of the spectrum. When comparing with the rest of the lineup it was easy to tell this is the entry level product. Vs. Sennheiser IE800: The A1D presentation is more forward making the IE800 sound a bit V-shaped in comparison. Tonally, the IE800 is brighter and a bit more airy sounding with better dynamics and higher levels of detail, but the A1D sounds a bit more refined in the upper regions and has more deep bass oomph. The differences in imaging and presentation space aren’t huge, but the IE800 holds the advantage. Vs. W100: The bass between the two is comparable, but that is where the similarities end for the most part. The W100 has less bass emphasis resulting in a sound with a better balance and increased clarity. With a more laid back presentation perspective, larger presentation space, and better imaging, the W100 offers a more enveloping and realistic recreation of the recording. Dynamics and detail levels of the A1D aren’t quite to the level of the W100 leading to a sound that is a bit dull in comparison. Vs. Custom Art Music One: Both use single drivers, but of different technologies. The dynamic driver A1D bass hits with much more authority even though the quantity isn’t much greater. The balanced armature driver of the M1 articulates detail more and has a slightly brighter overall tonality. Detail levels of the M1 are a bit higher and the treble is smoother while transparency is similar. Spatially the A1D is slightly larger overall with similar proportions. The presentation perspective isn’t too much different, but the A1D presents from a bit further back. Performance of these two are quite close, but with different strengths and slightly different flavors. 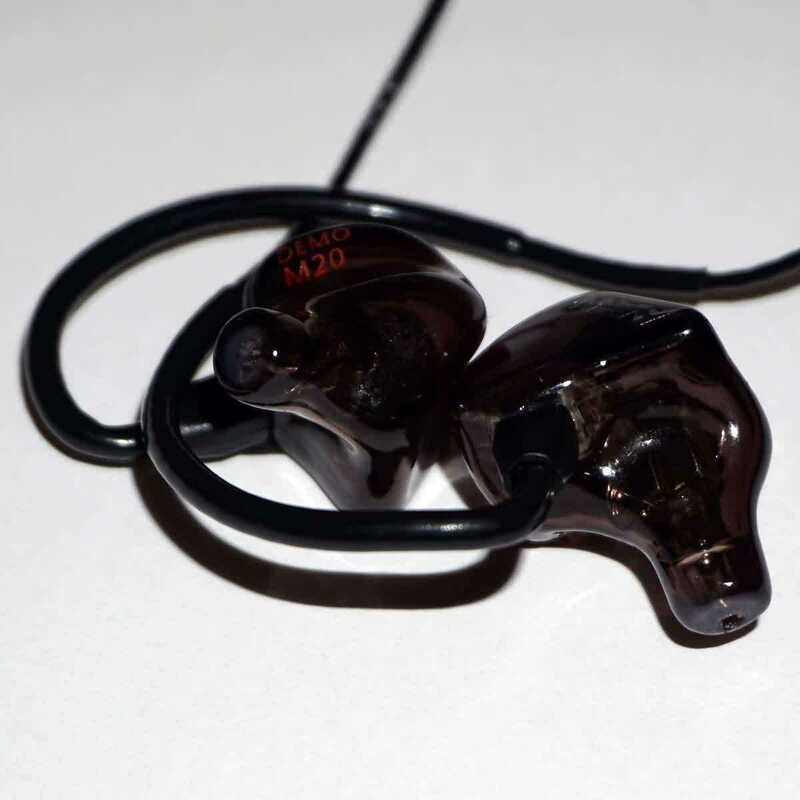 The M20 has a tonality that is on the warmer side, but it exhibits balanced armature characteristics with a good amount of detail retrieval, slightly thinner notes than the dynamic driver demos, and lower bass quantity/power than the W100 and A1D. The midrange and treble are relatively neutral and there tonal balance leads to a sound that is accurate and relatively neutral. Vs. A1D: The first thing that became apparent in this comparison was the difference in spaciousness, as the A1D has a larger space that is more 3D with better resolution within the soundstage. Instrument detail levels are higher with the M20, and details are more articulated due to the superior clarity and slightly faster note weight. The frequency response of the M20 is more neutral vs. the A1D’s warmer tonality, with a bass focused frequency response. Vs. A3H-V: The A3H-V bass driver makes a significant difference compared with the M20 as the A3H-V sounds warmer with much more tactile bass capacity when necessary. Playback of tracks that don’t have much bass results in a similar sound. The midrange of the M20 is more forward and up-front compared with the larger space of the A3H-V. The M20 treble is a bit more prominent and slightly sharper, but sounds more precise with better clarity overall. Both offer some tradeoffs and the choice between the two comes down to more bass capability or better overall clarity. This hybrid is tuned to be neutral in frequency response and mid-forward in presentation with capable bass that doesn’t overshadow the rest of the spectrum. Detail levels are good and notes have a smooth, natural decay; however, the A3H-V doesn’t sound natural in comparison with the rest of the lineup. This is in part due to the coherence, which isn’t as good as the others. The A3H-V was reworked to improve durability and also was more tip sensitive than the rest of the lineup. I ended up using the single flange ear tips instead of the bi-flange that was used for the rest of the universal demos. Vs. W300: The W300 is warmer with much more emphasis on both ends of the spectrum while the A3H-V has more of a midrange focus. Spatially, the W300 is larger with a more 3D soundstage and better imaging. Detail levels of the W300 are also higher but the note presentation isn’t as smooth and refined as the A3H-V. The W300 has a more natural sound with better coherence between the drivers. The Meister line is the higher-end of the two lines and was designed to have a more neutral tonal balance vs. the bass emphasis of the Muskier line. 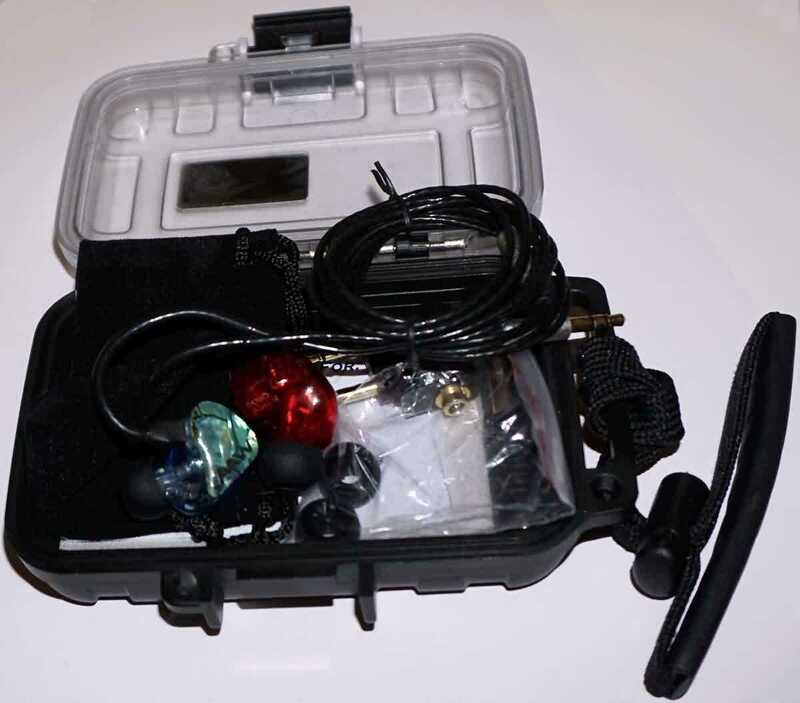 There is a range of sound signatures within both product lines. The lower-end of the lineup starts off impressively with good clarity, respectable detail level, and overall impressive spatial qualities. The sound is warm and powerful while retaining the midrange and treble regions. Vs. IE800: The W100 has more of a bass focus in comparison with the relatively balanced and brighter albeit leaner sound of the IE800. The treble of the IE800 is more forward than that of the W100, while the midrange of the W100 is more forward. The more prominent bass of the W100 hits much harder and deeper with a sense of authority and power the IE800 doesn’t have. Detail levels are higher on the W100, but the IE800 has better clarity and instrument separation for an overall cleaner sound with better articulation of detail. Spatially, the W100 is more open and 3D. These two have quite different flavors, price points, and audiences. Vs. Custom Art Music One: These two offer different flavors, as the W100 has much more bass power that, depending on the amount of bass in a song, can really change the way a song sounds. The W100 is more laid-back than the M1, with a larger soundstage that makes the M1 presentation sound a bit flat. Details are more articulated from the M1, but the W100 has about the same level of detail. The M1’s presentation is more suited for vocal tracks, giving a more intimate and “there” feel. Also in easy listening tracks the W100 can over-amplify bass notes so they overpower the song, but conversely with pop songs the superior note sustainment of the W100 leads to a more involving recreation. With an emphasis on the midrange, the W300 has a brighter tonality but still reproduces plenty of bass thanks to the W100 driver. Clarity and detail levels are good, and notes are well articulated. The notes from the BA portion are faster than that of the dynamic driver, but since the dynamic driver isn’t in the forefront, coherence doesn’t become an issue. Vs. W100: The W300 has superior clarity and a very different, almost opposite tonality as the W300 is treble focused while the W100 is bass focused. The W100 can sound a bit dull in comparison while the W300 can sound sharp. It appears the W300 fills a different market segment than the W100 and is not an upgrade path. Vs. Alclair Reference: The W300 is a bit strange compared with the warmer Ref considering the W300 is a bit more laid back but the Ref has a wider soundstage which gives the Ref a more open sound. Notes of the W300 are a bit quicker and more analytical in general; however the treble of the Ref can be sharper at times depending on the recording or due to the lower treble quantity, it can sound a bit dull. Layering of the Ref is better than that of the W300, but this is custom vs. universal. Ultimate bass power is superior on the W300, but quantity is close. Both offer a different give and take which will come down to what you are ultimately looking for. The W350 has a warmer sound while retaining balanced armature detail levels along with excellent imaging. Notes are on the thinner side leading to good articulation while the top-end can have a sharpness to it. Vs. W300: The W300 has significantly more bass, warmth, and power while the W350, which does have warmth, sounds more accurate. Detail levels are similar through the midrange and treble, with the W300 having a bit sharper treble and a V-shaped sound signature in comparison with the more balanced W350 that has an overall brighter tonality. Spatial qualities are good for both, with the W300 having a bit larger space while the W350 images better with more presentation depth. The choice between these two comes down to the V-shaped sound signature and bass weight or the W300 vs. the more neutral and natural W350. Vs. M20: The W350 is a large step up from the M20, with more detail and better spatial qualities that include size and depth of the presentation. The W350 has a fuller, more linear frequency response as the M20 sounds a bit V-shaped in comparison. Detail levels are higher and better articulated from the W350, and the overall realism is superior. The price of the W350 is double that of the M20, and for my ears well worth the price difference. Vs. Alclair Reference: The Reference is slightly warmer in tone due to more emphasis in the upper region of the W350 while bass quantity isn’t significantly different. The W350 has a larger soundstage, but a more upfront presentation with superior imaging and resolution within the soundstage for a more realistic rendering of the recording space. Overall detail levels and clarity of the presentation are higher on the W350 due to the more analytical notes. The W350, which cost close to double the Reference, is the clear winner unless you prefer a warmer, smoother sound. +TruXross 5 Way Passive Crossover – Physical Low Pass Filter on Dynamic Bass Driver + Electronic 4 Way Passive Crossover. +TruXross 4 Way Passive Crossover – Electronic 4 Way Passive Crossover. The W500 is on the warmer side of the spectrum, with a bass quantity that can be adjusted from very present at a minimum to bass-heavy and powerful. The sound signature is relatively unique in higher cost CIEMs as it is rare to find the warmth the W500 offers. Imaging, soundstage, and detail levels are all good for the price making the W500 a competitive product with the ability to adjust the amount of bass and to an extent, the presentation. Vs. W350: The W500 was set to balanced armature only mode and was still much fuller and warmer than the W350, with much more bass capability. There is a relatively large difference in the bass, which may be from the combination of one more bass driver plus the custom fit. Vs. W300: The W500 was set to the neutral position where the sound signature is quite similar between the two with the W500 being slightly warmer with a smoother top-end and a more filled-in midrange resulting in a more immersive experience. The W500 outpaces the W300 in every category, with a more spacious soundstage that images better and has a more laid-back presentation perspective. Detail levels are higher while clarity is a bit better from the W500 even though the notes are smoother and more natural from the W500. Spatially, the W300 sounds a bit more distant, but also the midrange sounds recessed in comparison. Overall, the W500 has a more pleasant and realistic experience. It is important to note that the W500 has been customized for my ears while the W300 is a universal demo. Vs. Lear LCM BD4.2: The biggest difference between these two is the presentation perspective, with the W500 giving a more up-close presentation in comparison with the more expansive and slightly brighter BD4.2. During my comparison, if I let myself get used to one, when I switched to the other, the presentation would sound like it was off. The BD4.2 would sound mid-recessed, hollow, and somewhat disproportionate and the W500 would sound closed-in and compressed. This is due to the significant differences in presentation. From a quality perspective, they are similar in most ways with both winning in different characteristics, if just by a bit. The BD4.2 wins in coherence, and this is the most significant difference in characteristics of my comparison, but that isn’t to say the differences are really large. Other categories the BD4.2 edges out the W500, and these are all quite small difference, include transparency, note ADSR capability, focus within the soundstage, and presentation size. The W500 edges out the BD4.2 in clarity, bass quality, and treble quality. Essentially, the individual notes in the bass and treble are of slightly higher quality, but the better ADSR capability of the BD4.2 leads to a bit more natural sound despite the W500’s advantage. If you don’t have anything of the quality to compare, all you will hear is sonic bliss! The differences are minor and one shouldn’t choose between the two based on performance, but rather sound signature. Both offer sound tuning, and the BD4.2 bass can crank out more brain mashing bass than the W500 with the highest setting, and there is a bit more air and treble presence with the BD4.2 through the majority of the bass adjustment settings. The decision point is the presentation perspective. Do you want an up-close presentation, not unlike the Audeze products (at least the ones I have heard), or a spacious, more distant sound similar to the HD800 or Tesla T1. Once can also somewhat compare the Sennheiser IE80 or Sony EX1000 to the BD4.2 from a presentation perspective (spacious) vs. the up-front presentation of an EarSonics product. 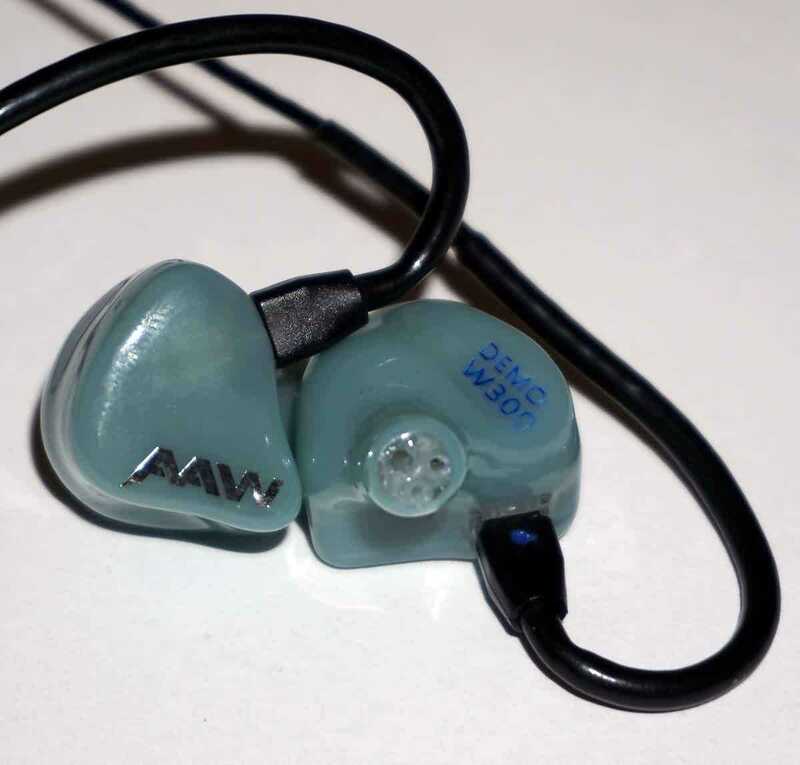 The new Advanced AcousticWerkes product lines offer a different tonality in the custom in-ear monitor space. 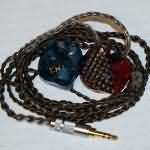 The typically warmer sound signature and bass-heavy options fit the request of many I have conversed with about a CIEM with good, reverberant bass. While these demos aren’t a true representation of the customized version, they do seem like they will allow people to make a decision based on sound signature. I will be announcing the demo unit tour in the near future. Sorry for the delay, but just got a chance for the comparison. I no longer have the JH16 as I sent it to UM to have it turned into the UM24, which is supposed to be similar to the Roxanne with the bass set to neutral. The tonality differences depend on the bass setting of the W500. When the W500 bass is turned up, the UM24 (think more neutral JH16) sounds cleaner and clearer with a more natural balance to my ears. The two are closest with the bass switched to the lowest position, but the UM24 sounds flatter from the midrange on up (as it does in all settings). Bass quantity is similar between the two, but the W500 is more capable. From a soundstage perspective, the W500 is a bit smaller in width but has better depth. Hi Joe, I prefer spacious presentations of classical music, in which case the A3H is the winner, but with jazz, I like a more intimate and detailed sound, in which case the M20 is the winner. They both offer something a bit different, so it comes down to your preference: more up-front presentation with better clarity (M20) or more spacious with better bass capability (A3H). Hi Joe, I know this comparison is not quite appropriate but since both A3H and Oriveti has same driver configuration.. Which is more suitable for Classical, Jazz and pop song?? Unfortunately, I haven’t heard the Oriveti, so I can’t really say. 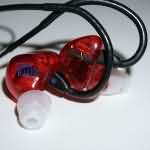 What I will say is, CIEMs typically have higher sound performance compared with universal IEMs at similar price points. You may want to also post this question on the Oriveti review. Joe, how about AAW A2H pro? Have you tried it? I’m pretty curious as I tried A1D and feels the bass are a little overwhelming. 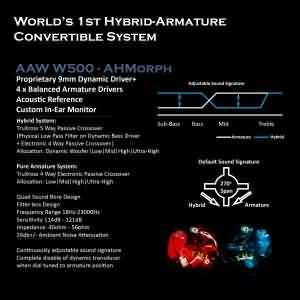 Are the w500 ahmorph more like lear lcm bd4.2 do they share the same sound sig? Hi Francis, I have added a comparison to the write-up above. Let me know if you have any questions. 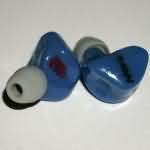 How about the aaw a2h and a2hv compared to other ciem under 300$? 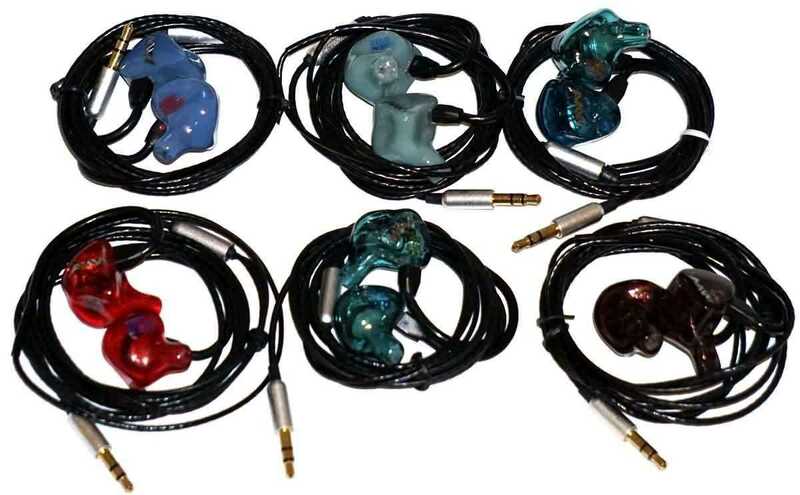 hey joe, which universal IEMs do you think are on par with the A1D? And is AAW’s flagship as good as other brands’ (in general)? Im curious. The universal comparison is a difficult one for me since I haven’t heard the number of universals that joker has. It didn’t truly wow me and the W100 was far better. I would need to compare with the GR07, which I unfortunately currently don’t have. The W500 on the other hand, which has had much more of my ear time, is turning out to be quite good. It has a bass focus and isn’t quite as clear as other flagships, but it brings a warmth the others don’t and has a great soundstage recreation. If you want warm, it seems to be a very good choice so far. I posted comparisons of the Custom Art Music One with both the A1D and W100 in the article. 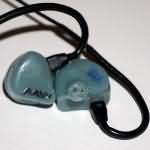 How would you compare the aaw ciem to alclairaudio reference ciem? For example, the a3h or w300/350 vs the alclair reference. I have added a Reference vs. W300 comparison to the above info. Hope you can do a more in depth review of the W300!